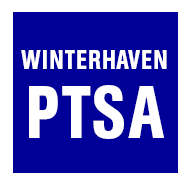 I am looking forward to once again working with middle schooler students to produce the Winterhaven Yearbook. But we will need LOTS of photos from all the grades to choose from when the time comes! If you are volunteering in your student's classroom, or chaperoning field trips, or just hanging out around school and happen to take any yearbook-worthy photos, please email them to winterhavenyearbookstaff@gmail.com! Be sure to include the name and grade of anyone in the photo to make it easier for us to organize them. Pictures from your phone camera are generally fine, just make sure they aren't blurry and send the highest resolution/largest file size that you can. Photos with more than one student are always best so we can try to get as many students represented in the yearbook as possible.